John Macpherson has acquired Alaskan Campers. Here’s the story of why John bought the company, the changes he’s already made, and his vision for the nearly 60 year old truck camper manufacturer. Alaskan Campers was founded in 1958 by Californian, Don Hall. After serving in the Seabees 30th Battalion (naval construction) in World War II, Don moved to Sunland, California from Rochester, New York. There, in 1948, Don designed and built a truck camper for a three-month adventure to Alaska. With its unique hard side roof that raised and lowered with hydraulics, Don’s camper quickly captured the attention of outdoor enthusiasts and became the prototype for Alaskan Campers. By 1965, Don and his wife, Irene, had grown Alaskan Campers to seven factories across the United States and Canada. After experiencing a boom in the 1960s, the 1970s were very hard on the RV industry. Alaskan was one of the few truck camper manufacturers to survive the fuel crises of 1973 and 1978, and the following recession of 1981 and 1982. By the time the late 80s arrived, Alaskan Campers was for sale. Don Wheat bought Alaskan Campers from the Hall family in 1989 and moved the company to a two stall garage at his home. That year Don sold 16 Alaskan Campers and began an upward swing for the company. By 1992, production demands increased and Don asked his son, Bryan, to join Alaskan Campers. Bryan soon took over the day-to-day operations and continued steering Alaskan Campers forward. That brings us to 2016. After owning Alaskan Campers for 27 years, it was time for Don Wheat to put Alaskan Campers up for sale. 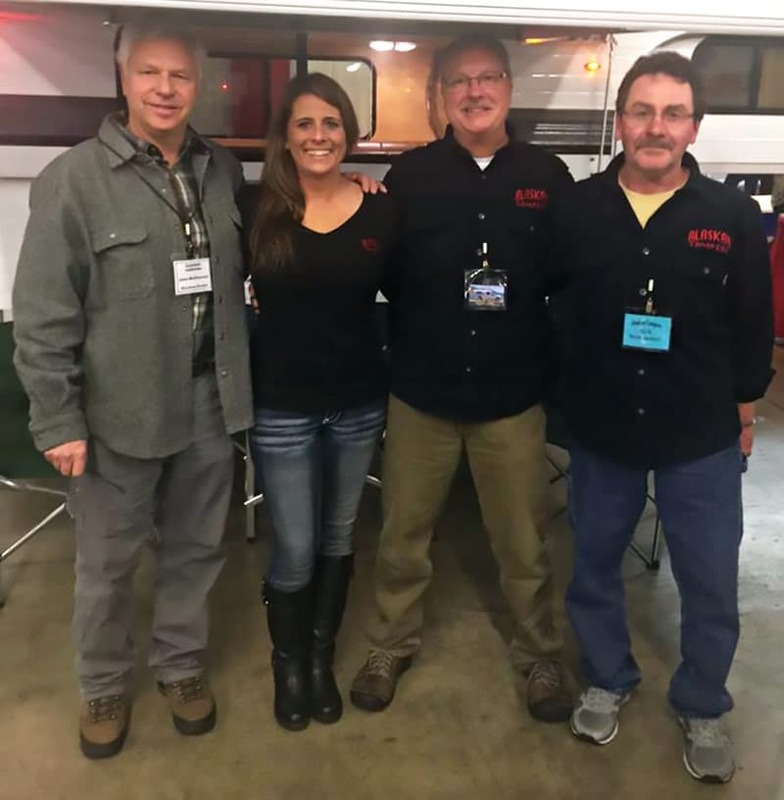 Having worked with Alaskan Campers for over 24 years as their Alaska dealer, John Macpherson purchased the company last fall. John knew Don, Bryan and the Alaskan Camper production team well, and was excited at the prospect of taking the nearly 60 year old manufacturer to the next level. For over thirty years, John Macpherson has owned a satellite communications business servicing the Alaska oil, fishing, and marine industry. He’s also a passionate outdoorsman and takes any opportunity he can get to go fishing and hunting in his personal Alaskan Camper. More importantly, John has brought his philosophy of business, quality control, and customer service to Alaskan Campers. As John explains it, Alaskan Campers is going to become significantly more efficient, but not much else is going to change. How do you improve a product that has lasted almost six decades? For the full story behind the acquisition, we talked to John Macpherson. TCM: Tell us about your professional career prior to your involvement with Alaskan Campers. John: I’m 64 years old, so how far back do you want me to go? TCM: As far back as is relevant to your involvement with Alaskan Campers. John: In March of 1989, we had the Exxon Valdez oil spill. I had been in the satellite communications business in Alaska for a number of years before that. Needless to say, there was a lot of mobilization that had to happen and our satellite services were part of the clean up effort. When I reached the town of Valdez, it was already trying to support a city of people that had arrived for the spill. I spent a week sleeping in my regular cab pickup. That’s when I decided I wanted a pop-up truck camper. My uncle had Alaskan Campers in the mid-60s, but I thought they had been out of business for decades. I just never saw any newer Alaskan Campers in Alaska at that time. Without the option to buy a new Alaskan, I bought a Jayco pop-up truck camper. TCM: Of course Alaskan Campers was in business at the time, but the majority of their units were delivered to the lower 48. Did you want a truck camper for anything other than work?